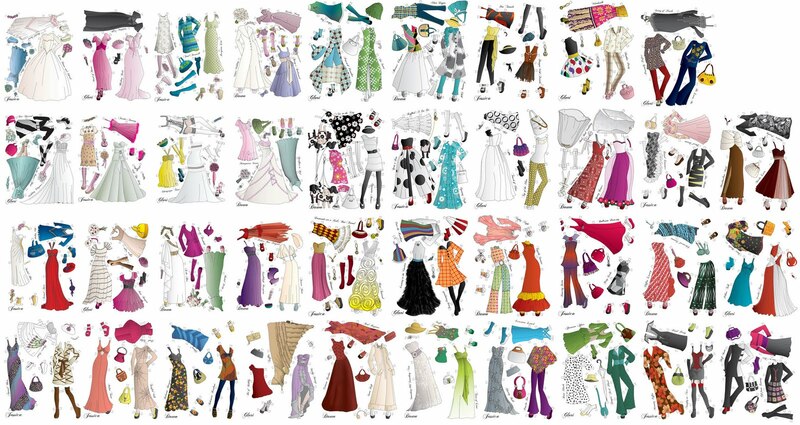 Whatever Happened to Paper Dolls? I was just talking to a friend from back in the day about this. I remember playing with paper dolls as a child. The paper dolls I played with. I actually had this book. 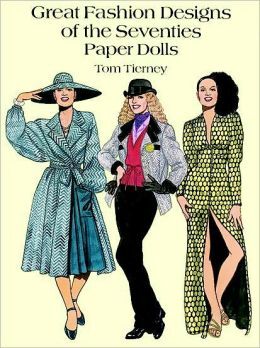 I loved them, it was so fun getting a new paper doll book, cutting out the cardboard doll, then the clothes and dressing them up. I wonder, do people still use scissors? Those were the fun things kids did back in the 70’s, it wasn’t all about video games and, Ipads, Ipods, PS3’s, and smart phones… Imagination was still viable back then. Now, good luck trying to find a paper doll book, and wouldn’t you know it, my daughter loved paper dolls. So what’s the next best thing? Computer imaged dolls you dress up on your computer. Lani showed me how to use this site, and now I’m hooked. This is why her avatar is on my blog, because this is so her, she loves this kind of stuff. We did manage when she was little to find some paper dolls, but talk about pricey!!! American Girl had some, that were cute but very expensive. 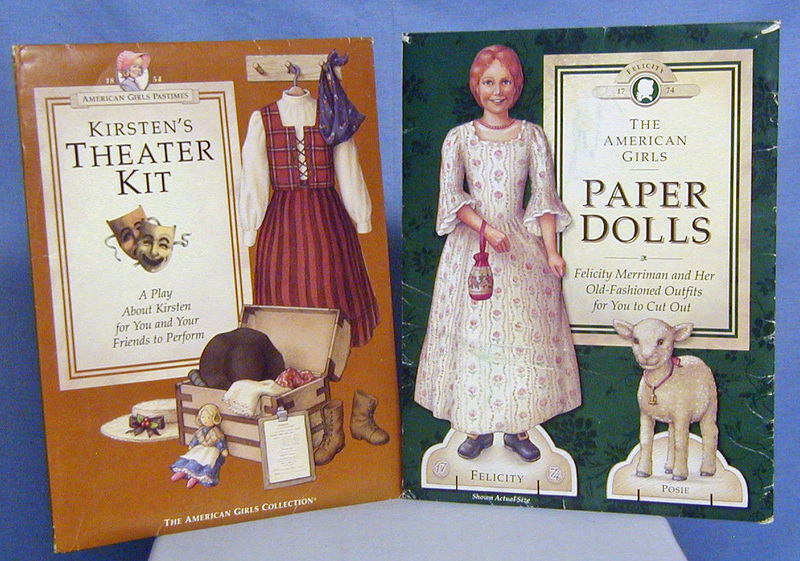 American Girl Paper Dolls from the 90’s. I absolutely loved paper dolls, too. I found a site called dover publication. They sell all kinds of paper doll books. Very reasonably priced, too. When i was a kid we had to make our own fun. Kids today dont do that. They want to be entertained. I think computers & video games are ruining our kids. Oh Donna, yes I agree, I wish some of the so called toys would just be pulled off the market and we could start over. Any chance you can tell me where you got this image? I would like a larger version. I cannot find the image on the site you listed. Hi Jennifer, maybe I can just send this picture too you by email then maybe you can enlarge it that way. This was quite some time ago and I got it from google stock images and then it showed where they got it from. So I just credited it back to where they got it from. I agree, I too loved paper dolls when I was a kid. The outfits didn’t even need to be extravagant. Even with just 2 changes of clothes, I could play for hours. “As a former teacher in the public schools, I know enjoyment enables and enhances learning. But the world of video gaming has redefined fun. Our young ones are not inherently different from kids two hundred years ago. Our physical apparatus has not changed. The parenting, the environmental influences we watchdog or don’t, condition our children’s preferences. So, at least from observing my own son, it seems to me kids still can get quite a kick out of the incarnations they can summon of a cardboard box – except for the etoys readily put in front of them. I cut much of the post so as not to take up room here, though I didn’t do a very good job. Wanted to share that I agree with you. D, thanks for the excerpt, it was awesome. I hope we meet one day soon!!! Ok I’m going there to read it now. It might end up on my page as a reblog. Shazza. You’re too much. Let me know if you need me to pull it up (I didn’t want to be so forward) – on the unlikely chance you need it. Oh yes, yes, send me a link, I’ve had writer’s block for a while that’s why I’ve only been doing movie review lately. So I need it. You’ll pull up the series. Thanks D for the links and help because I’m not computer savvy!!! You know just what I need. Great blog. Paper dolls were the cool thing back in the days…sigh…yes we never believe simple is better until we glance back. Remember when Legos were just Legos (not themed, colored/supposedly gender specific) while Lincoln Logs and Tinker Toys were affordable? As for paper dolls, a friend of mine either creates her own (using family friendly magazines to cut from) or seeks out independent toy stores where toys are toys – not commercial tie-ins. Nice, she makes her own? Now that’s imaginative! Yes, I loved legos when they were just legos. Now you have to make them like the pic on the box. Nothing is left up to you the one playing anymore, these toy company are trying to dictate. I loved lincoln logs!!! They’ve done the same thing with plato. Thanks for the comment. Blessings. Yes ma’am that’s a good trade off, maybe she can show you how to use the site my daughter uses to make avatars. It’s pretty cool. Blessings friend. Your welcome, I loved how after cutting the paper doll clothes, you had to rub them onto the cardboard and then clasp the little flaps so they would stick. Those were the days. Thanks for the comment Valerie.